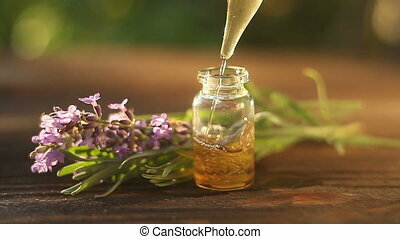 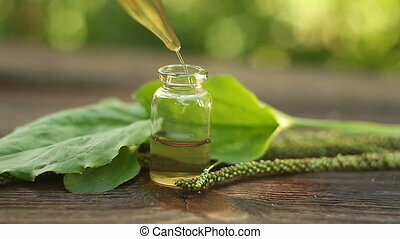 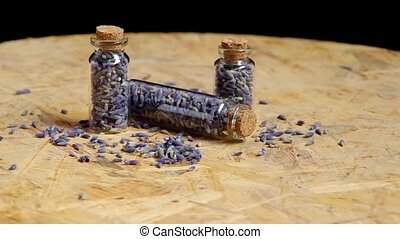 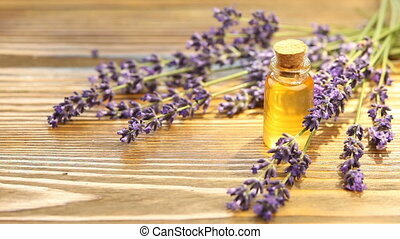 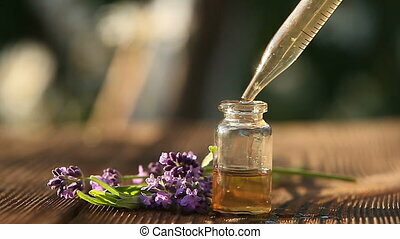 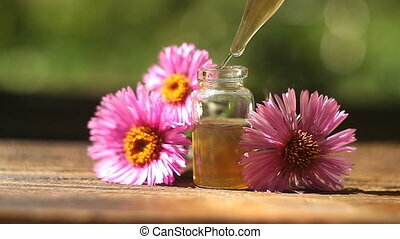 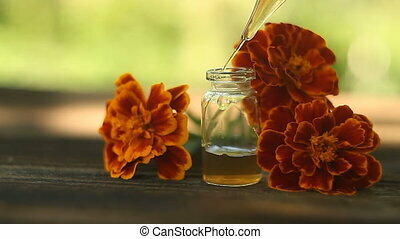 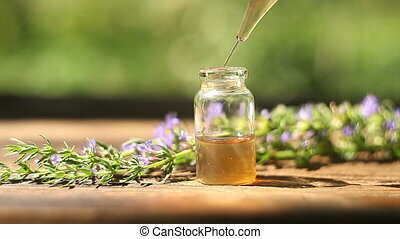 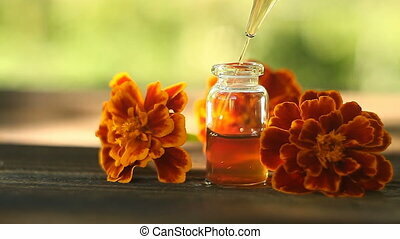 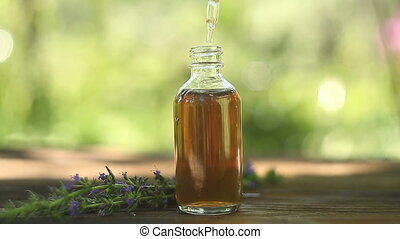 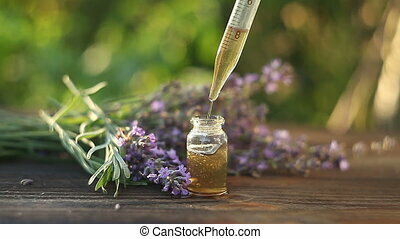 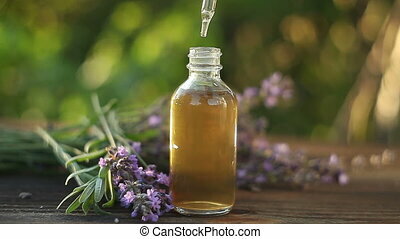 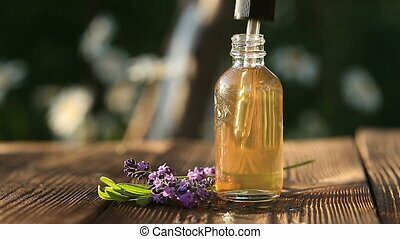 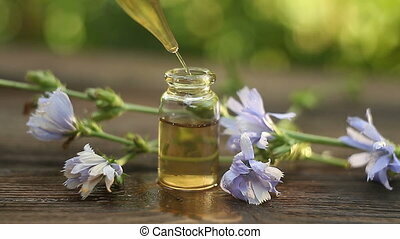 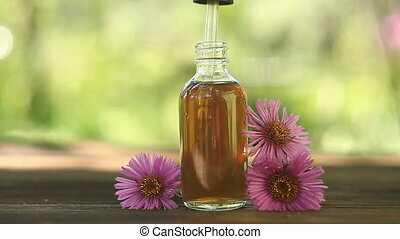 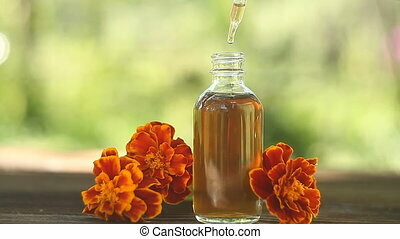 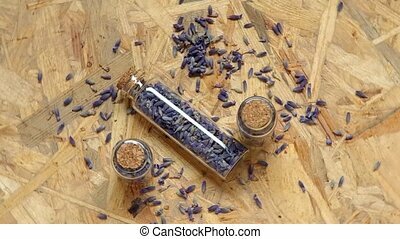 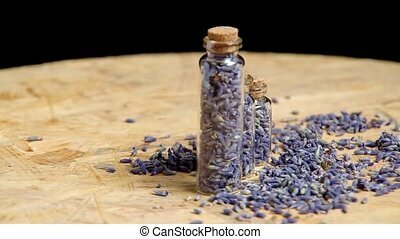 Chicory essential oil in beautiful bottle on table. 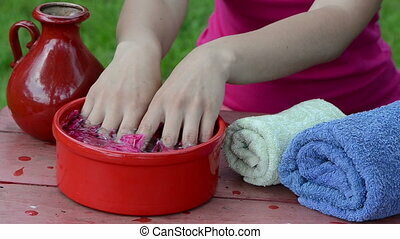 Young lady on procedure for care hands in spa salon. 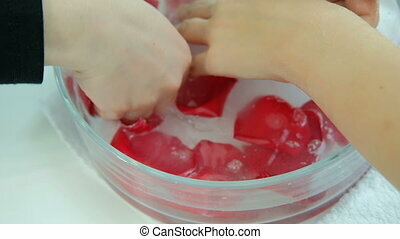 Master lowers and gently bathes arms of client in liquid poured into transparent round bowl containing red rose petals and essential oils. 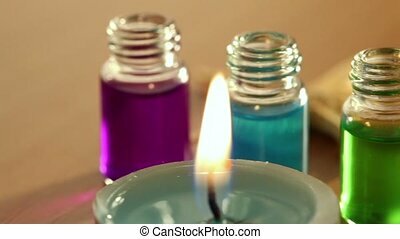 Specialist with french manicure works diligently at white table in bright room preparing woman's skin for subsequent application of moisturizers. 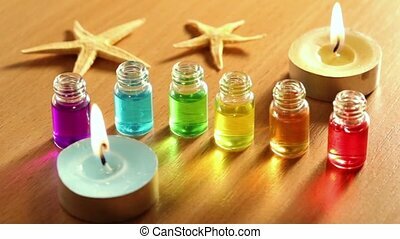 Spa massage promotes full relaxation of muscles and creates finest film on skin which keeps moisture on surface, preventing drying of epidermis.